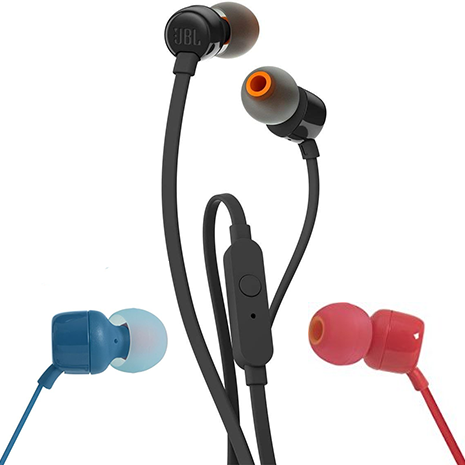 The JBL T110 in ear headphones are great earphones for everyday use. 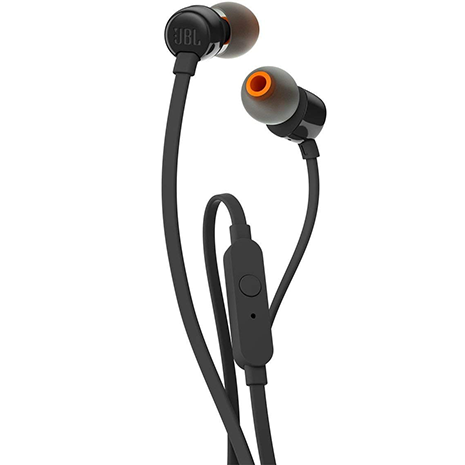 The JBL Tune 110 earphones are both lightweight and compact. Despite that, they house a pair of 9mm drivers that kick out some serious bass. This to recreate the JBL Pure Bass sound that you may have heard in concert halls, arenas and recording studios across the globe. A single button sits on the tangle-free cable and it can be used to answer calls and control music playback.